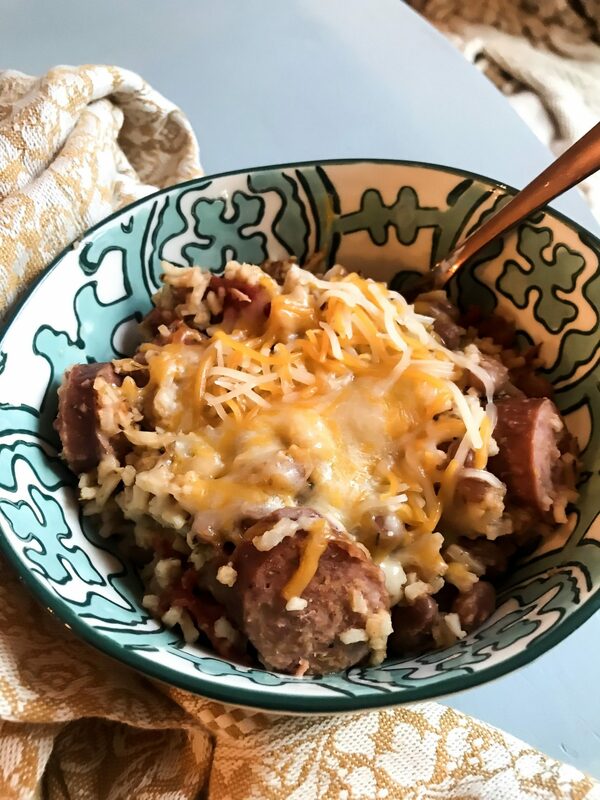 One Skillet Sausage and Rice Dinner – Easy and Delicious! I have my ‘staples’ grocery list that I tend to keep stocked almost all the time, am I the only one? A while back, I wrote a blog post about What’s In Our Pantry but I think I actually need an updated list, including our fridge because I have a new grocery list BFF. Smoked Italian Sausage! 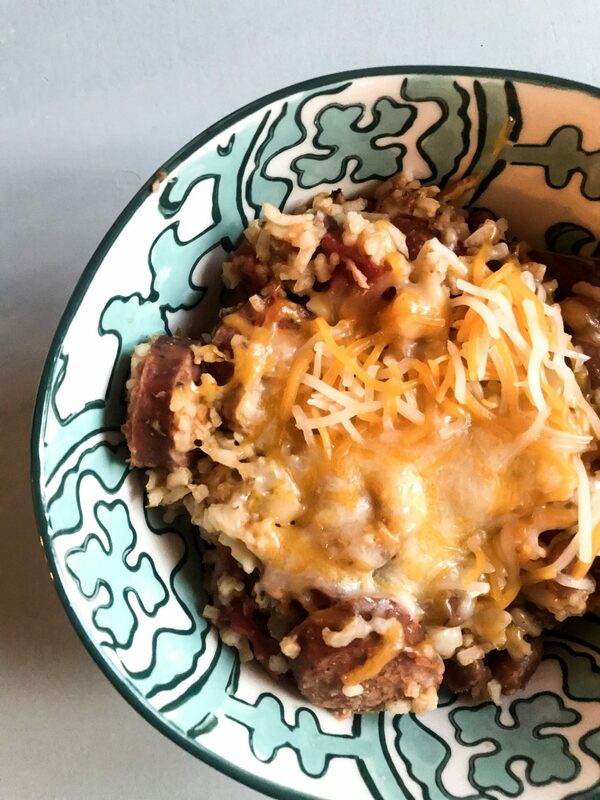 Maybe you already buy this or maybe you just glaze over it in the store but today I’m giving you the most simple and delicious, One Skillet Sausage and Rice Dinner Recipe that will make you fall in love. Let me paint the picture for how I accidentally created this recipe the other day, I think it will show you how easy this truly is. I was visiting family in Memphis, left Monday morning, drove to Knoxville for a client then drove to Chattanooga. If you’re not familiar with Tennesse, I basically covered three of the four corners of the state in one day, hitting almost every major city! RJ had a late meeting and the thought of driving to pick up food sounded awful. I scanned our kitchen with little luck- except for this Smoked Turkey Sausage! I remembered a dish my mom made when I was younger and voila, this little recipe favorite was born. This easy, one skillet dinner can be made in 25 minutes with just a handful of ingredients. Another thing I love is the ability to tweak it to whatever dietary restrictions you may have. 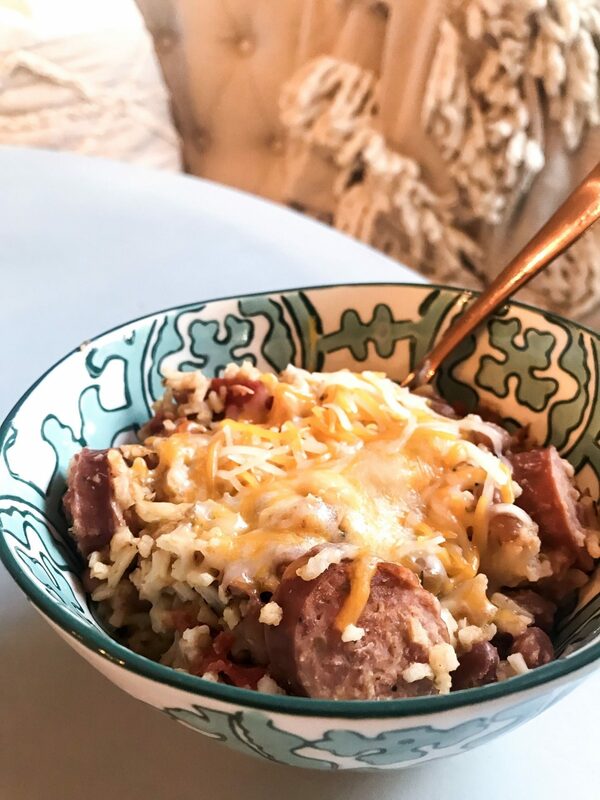 I made it using basmati rice but you can substitute cauliflower rice for a low carb option. You could also admit beans and add more veggies, the possibilities are really endless! 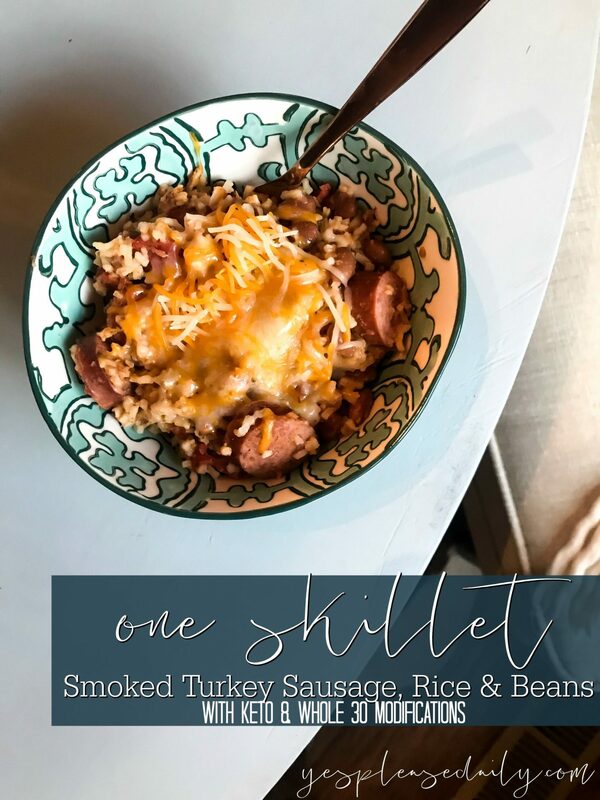 I’m going to share the traditional one skillet sausage recipe I created the other night below, but in the notes, I’ll add some easy substitutes and additions. Smoked Turkey Sausage Rope 14oz. This is the base for a delicious recipe! You can leave it as is and it's absolutely delicious. You can also mix n' match to make it perfect for your family. A few ideas: -Saute onions in the skillet with a little olive oil before starting step one. 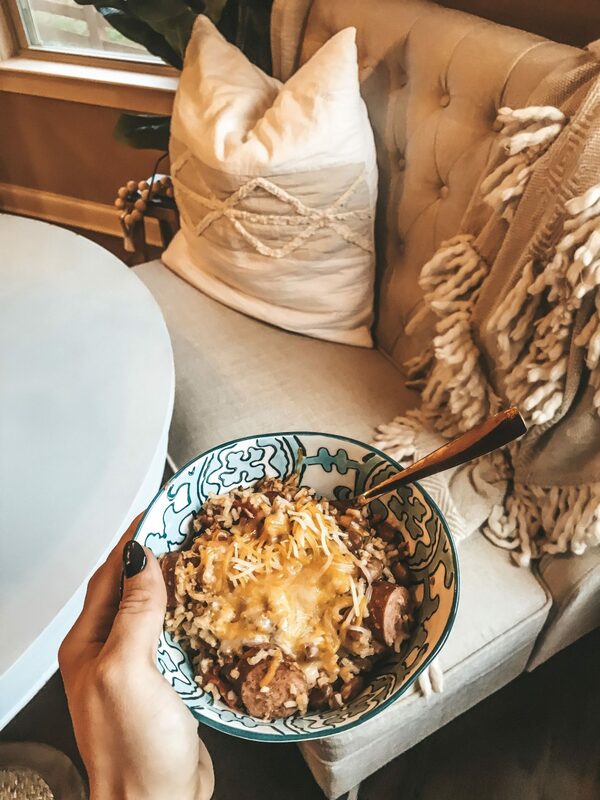 -Substitute cauliflower rice for basmati (cook it in the skillet first before adding everything else), sub zuchini for beans and it will be keto. -Add in okra, squash and zuchini for a fun veggie medley!